The recently held International Women’s Day serves as a timely reminder that there are great opportunities for women to pursue in their given careers, particularly when it comes to mentoring and encouraging leadership, management and communication skills for other women in business. Catherine Wundele plans to pursue this very opportunity as a scholarship recipient of the Executive Ready leadership program, run by Women & Leadership Australia (WLA) in partnership with Hort Innovation. 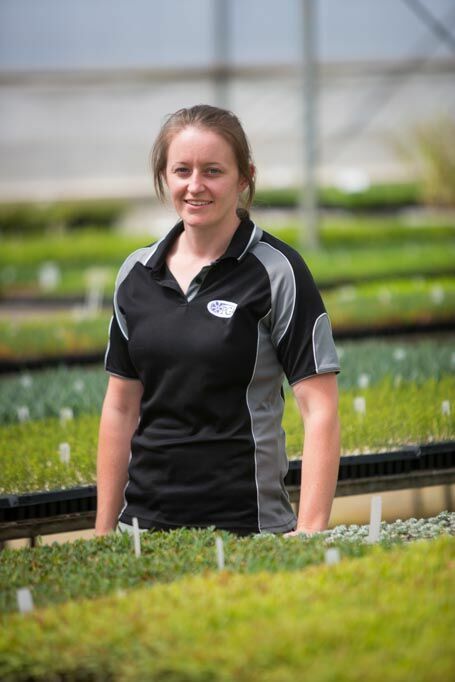 Currently the admin and HR Manager at Plant Growers Australia production nursery in Wonga Park, Victoria, Catherine will shortly begin an intensive seven-month professional development program, covering topics including team dynamics, driving performance, communication and influence and leading innovation and change. Plant Growers Australia production nursery employs more than 80 staff, and produces more than 300 lines of native and exotic varieties that are supplied to independent and larger retail chains across Australia. As the only woman in a senior management role in the business, Catherine sees the program as an opportunity to build essential skills to progress her own career and the career of those around her. “I started out as a general nursery hand more than eight years ago, and have been on a steep learning curve in the business since then without any formal business training,” Ms Wundele said. The scholarships are provided on a rolling basis to support women in horticulture through access to powerful and effective professional development programs. The funding is available to both individuals and groups of employees within all levy-paying horticultural organisations across Australia. The Executive Ready program is just one of the scholarship options available, there is also the Accelerated Leadership Performance Program for emerging leaders and the Advanced Leadership Program for senior and executive level women. Two of the programs can be credited towards the internationally respected Master of Leadership, for those looking to continue their tertiary studies. Leadership training for women in Australian horticulture is funded by the Hort Frontiers Leadership Fund, part of the Hort Frontiers strategic partnership initiative developed by Hort Innovation, with co-investment from WLA and contributions from the Australian Government.